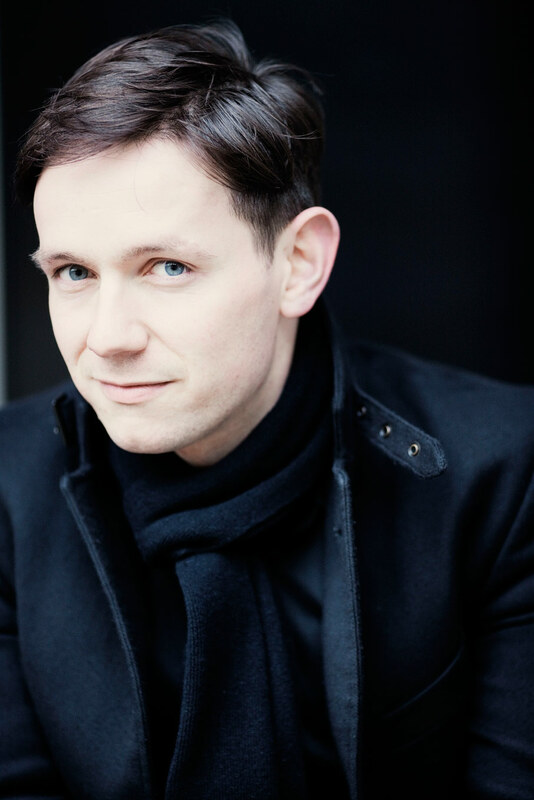 After graduating in Archaeology and Anthropology from St John’s College, Cambridge Iestyn Davies studied at the Royal Academy of Music, London. Last season he delighted London theatre audiences singing the role of Farinelli in the play, Farinelli and the King with Mark Rylance in the West End’s Duke of York Theatre and was nominated for an Olivier Award. His operatic engagements have included Ottone (L’incoronazione di Poppea/Monteverdi) for Zürich Opera and Glyndebourne Festival Opera; Arsace (Partenope/Handel) for New York City Opera; Oberon (A Midsummer Night’s Dream/Britten) for Houston Grand Opera, English National Opera and The Metropolitan Opera, New York; Apollo (Death in Venice/Britten) for English National Opera and in his house debut at La Scala, Milan; Hamor (Jephtha/Handel) for Welsh National Opera and Opera National de Bordeaux; Steffani’s Niobe at the Royal Opera House, Covent Garden; his debut at The Metropolitan Opera Unulfo (Rodelinda/Handel) where he has also appeared as Trinculo The Tempest; the Lyric Opera of Chicago in Rinaldo; Bertarido Rodelinda for English National Opera; his debuts at the Opéra Comique and the Munich and Vienna Festivals in George Benjamin’s Written on Skin and the title role Rinaldo for Glyndebourne Festival Opera. He returned to Glyndebourne in 2015 for David in Handel’s Saul in Barry Kosky’s production. “Iestyn Davies’ eloquent David is career-defining” Opera Now, September 2016. In 2016 he made his debut at the Salzburg Festival in Thomas Adés’ The Exterminating Angel. Concert engagements have included performances at the Teatro alla Scala, Milan with Dudamel, the Concertgebouw and Tonhalle with Koopman and at the Barbican, Théâtre des Champs-Élysées, Lincoln Centre and at the BBC Proms in the Royal Albert Hall with orchestras that include the New York Philharmonic, Bournemouth Symphony Orchestra, London Philharmonic, Britten Sinfonia, Concerto Köln, Concerto Copenhagen, Ensemble Matheus, the Orchestra of the Age of Enlightenment, Academy of Ancient Music and Scottish Chamber Orchestra. A committed recitalist, he recently made his debut at Carnegie Hall, New York and on tour in Japan. He enjoys a successful relationship with the Wigmore Hall, where, in the 2012⁄13 season, he curated his own residency. 2016⁄17 includes a return to the Royal Opera House, Covent Garden, to perform Written on Skin and The Exterminating Angel; concerts in Moscow, San Francisco, Cleveland, Bilbao and many London appearances. His recordings include two versions of Handel’s Messiah (New College Oxford, AAM/Naxos) and (Polyphony, Britten Sinfonia/Hyperion), Handel’s Chandos Anthems on Hyperion, Handel’s Flavio for Chandos with The Early Opera Company and Christian Curnyn, Bach’s Easter Oratorio with Retrospect Ensemble, his debut solo recording Live at the Wigmore Hall with his own Ensemble Guadagni, a disc of Porpora Cantatas with Jonathan Cohen and Arcangelo, an award winning disc of works for Guadagni for Hyperion and a disc of Handel arias with The King’s Consort for Vivat. 2014⁄5 saw the release of The Art of Melancholy, a recital of Dowland songs for Hyperion, Flow my tears, songs for lute, viol and voice on the Wigmore Live label and Arise my muse for which he received the Gramophone Recital Award. He is the recipient of the 2010 Royal Philharmonic Young Artist of the Year Award, the 2012 Gramophone Recital Award, the 2013 Critics’ Circle Awards for Exceptional Young Talent (Singer).